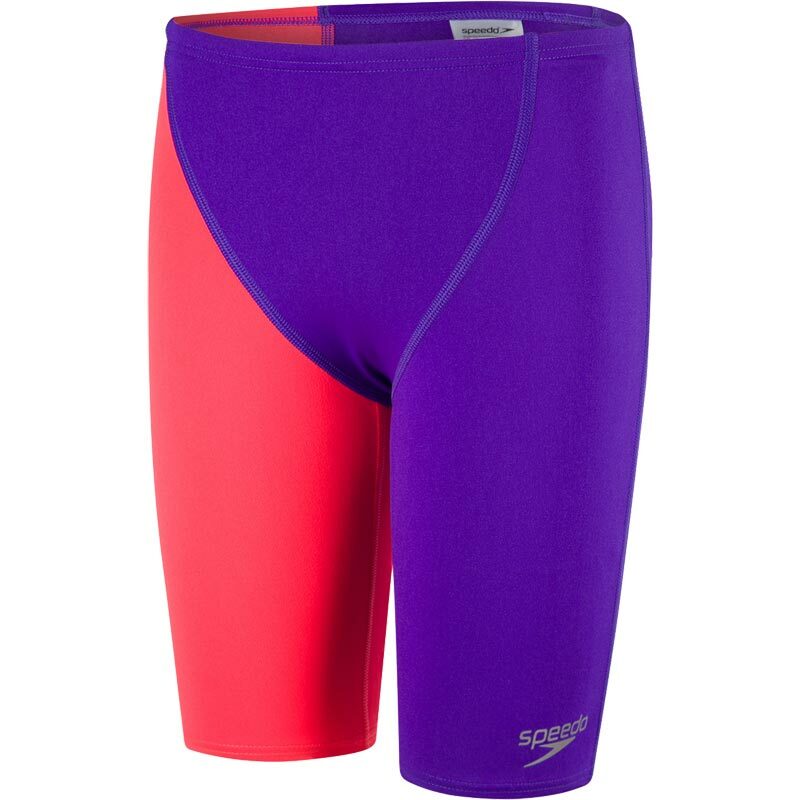 Feel faster on race day with our FINA approved Speedo ® Fastskin Endurance+ High Waist Jammer, part of the medal winning Fastskin collection. Built for competing, it fits to the contours of the body to create a sleek racing profile and shares the same seam lines and design inspiration as the adult racing suits. 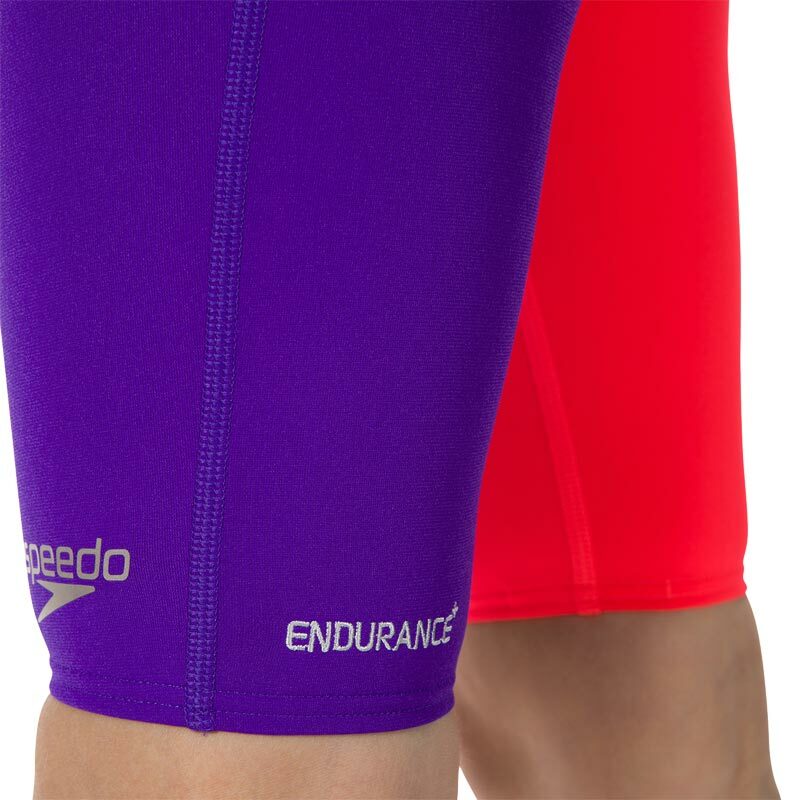 It's designed to last and withstand everything your race day swim sessions throw at it. 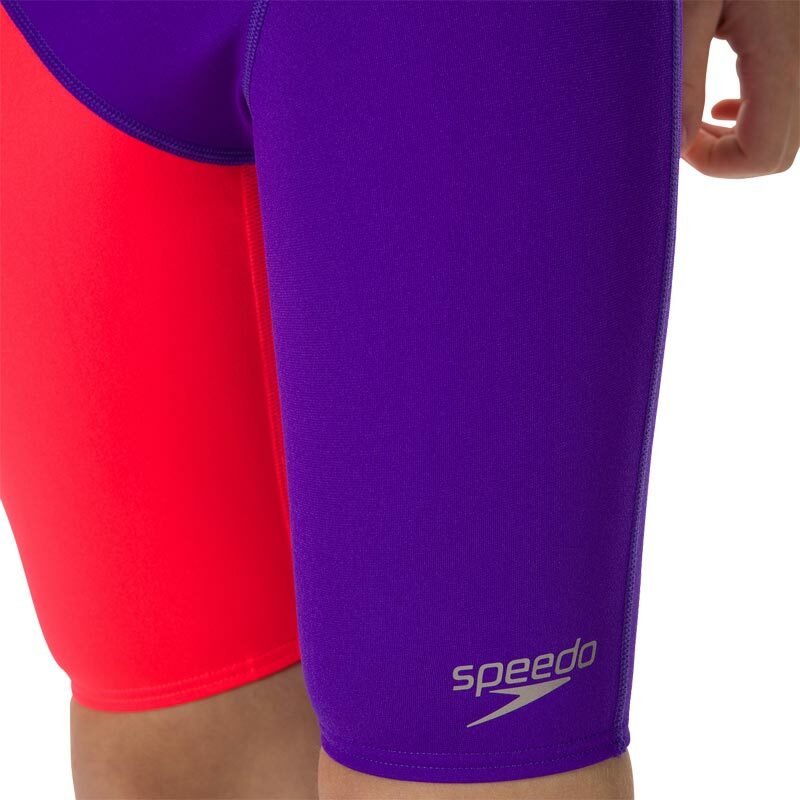 Unique asymmetric printed leg guarantees you will stand out on the blocks. 100% chlorine resistant so your swimsuit won't degrade in the swimming pool.